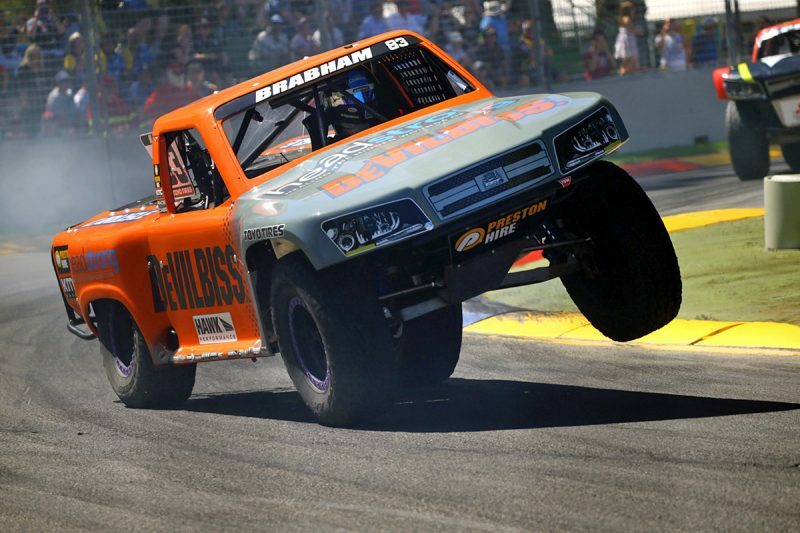 Matt Brabham has taken out the round win in the Stadium Super Trucks after claiming victory in Race 3 at the Adelaide 500. Brabham challenged leader Robby Gordon for the top spot in the closing stages, making a move down the inside at the final corner as Gordon ran wide on the grass. “That was an incredible race and I could not be happier to win it and claim the overall victory for the weekend,” said Brabham. “The Stadium Super Trucks always put on a hell of a show and to get this win in front of a home Australian crowd in the DeVilbiss truck is pretty special. “It was also great to have so many Preston Hire corporate guests on the ground at an event where I was representing for the first time. As Brabham crossed the line, a spectacular crash unfolded further back when Gavin Harlien landed his truck off a jump on the right rear wheel, causing it to collapse under the truck and send him spearing into the pit wall. Harlien kept his foot planted, even after clouting the wall, pirouetting across the line to claim sixth amid a cloud of tyre smoke. Second place went to Travis Milburn, while Toby Price, who led early on, came home in third. 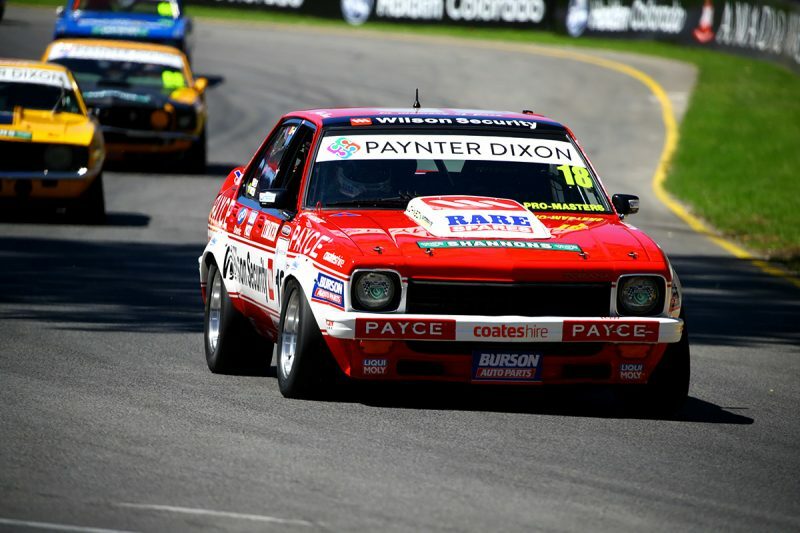 John Bowe has won the final Paynter Dixon Touring Car Masters race of the weekend in Adelaide after a mechanical failure saw Steve Johnson retire from the lead. Bowe had shadowed Johnson in the early stages before a left rear failure saw the Ford Mustang shed a wheel after climbing the exit kerb at Turn 6. 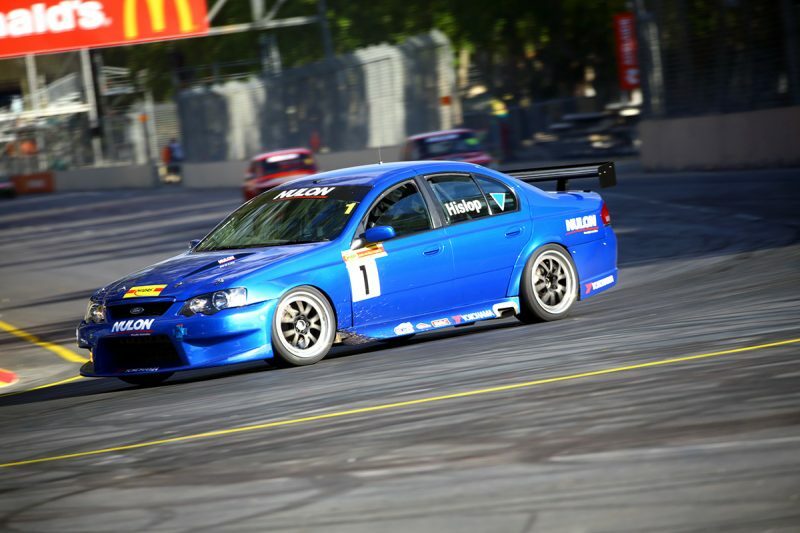 Prior to his retirement, Johnson had set a new lap record with a 1:28.8376s effort of his third tour of the Adelaide Parklands circuit. The retirement and subsequent safety car for Johnson saw Gavin Bullas promoted to second and Cameron Tilley to third. The race restarted for just a single lap before another safety car was called for when Tony Karanfilovski found himself stranded in the middle of the track at Turn 5, which would ultimately end the race. Earlier, Ryan Hansford found the wall when looking to put a move on Karanfilovski, who had an eventful race. The Ford Mustang driver was also in the thick of the action when he and Paul Freestone found the same piece of track at the hairpin, spinning Freestone and allowing Jason Gomersall to scamper by them both. 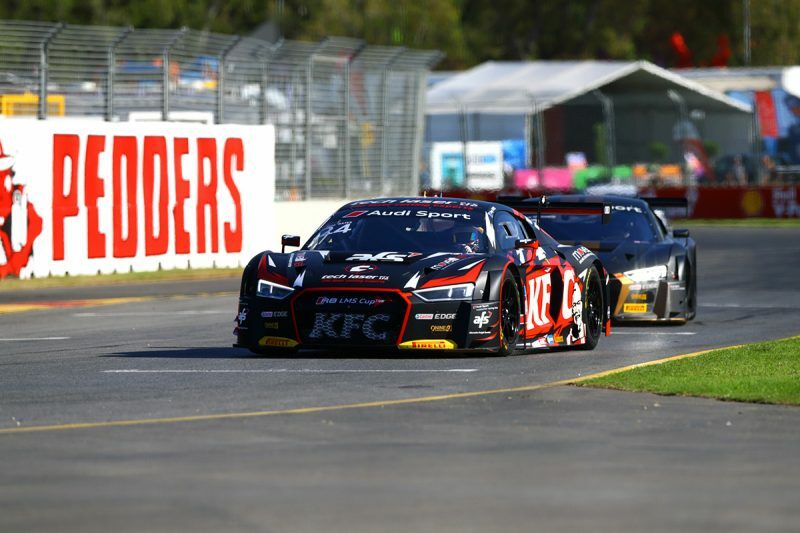 Tony Bates has won the last race of the weekend for the Audi Sport R8 LMS Cup. After swinging into the lead at Turn 1, Bates ran wide at half a lap later, opening up the door for Yasser Shahin to take the lead. On Lap 7, Jefferey Lee made contact with Sun Jing Zu, turning the latter around at Turn 11 while moments later James Koundouris found the wall after contact with Bhurit Bhirombhakdi at Turn 4. The incident brought out a safety car, with Bates pouncing on Shahin at the restart on Lap 11. Shahin settled for second, while Haryanto claimed third in the race, and the round win. Ray Hislop took victory in Race 4 of Improved Production after the race ended under safety car. A crash involving Brad Chick and Ian Stathan at Turn 8 on Lap 4, brought out the intervention, with both drivers walking away from the incident. Peter Ingram crossed the line second, while the podium was rounded out by Andy Sarandis.